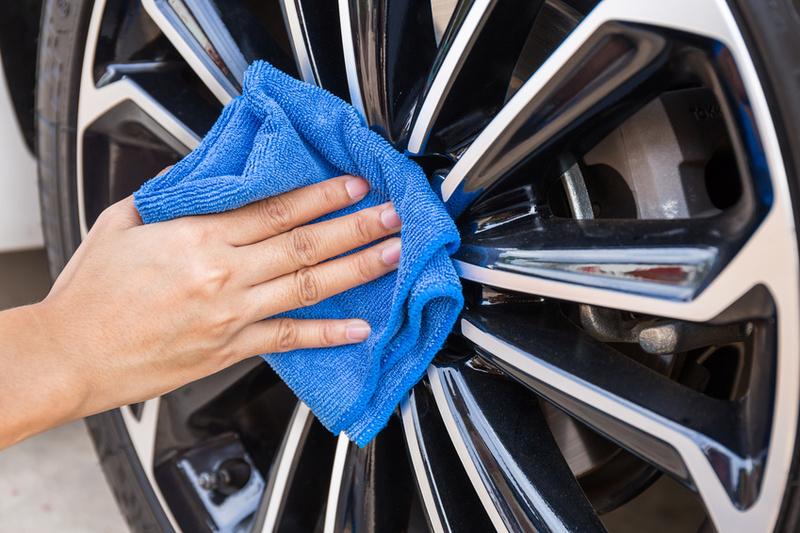 Here, we offer a selection of car detailing secrets from the Simoniz experts, as well as a handful of further tips from the experts at Professional Valeters & Detailers (PVD). Why? Products like Simoniz Back to Black Bumper Shine are designed to not only restore the colour of the plastic, but protect it from grime, chemicals and abrasion. Waxes and polishes can actually stain the bare plastic, which is why it’s a good idea to treat these areas first. A power buffer is a great way to get professional results, but it’s important to know how to use one properly. Often, people make the mistake of removing wax and polish with a buffer, but this can lead to an uneven finish and swirls in the clear coat. Microfibre cloths offer lower friction and greater efficiency for fast, effective washing and rinsing. Just remember to keep your wash and dry cloths separate, and make sure you remove any labels or tags from the cloths to avoid scratching. One tip to easily remove these stubborn bits is to use static electricity to draw the bits upwards and out of the fibres, making them easier to remove with a hoover. You can do this using a latex glove, and gently rubbing your hand across the surface of the carpet. The friction will generate static, and pull the bits upwards for easier removal. Another great tip to get rid of annoying bits is to brush the carpet with a stiff nylon brush. This will agitate the carpet fibres, making it easier to remove the bits with a vacuum cleaner. Be careful not to rub too hard, however, as this could damage the upholstery and lead to fraying. Our Upholstery and Carpet Cleaner has a brush attached to make this easy. If your car no longer has that new car scent, and you’ve tried a range of air freshening products without success, use a can of compressed air to give the vents a quick blast. Dust, dirt and moisture can build up on the inside of air vents, causing stale odours to circulate through the cabin whenever they’re in use. Compressed air will remove the offending muck, grime and bacteria, giving your car a fresher, more neutral smell. 12. Always dress your tyres last as tyre dressings often contain silicone, which you don’t want on bodywork when you wax it. 13. 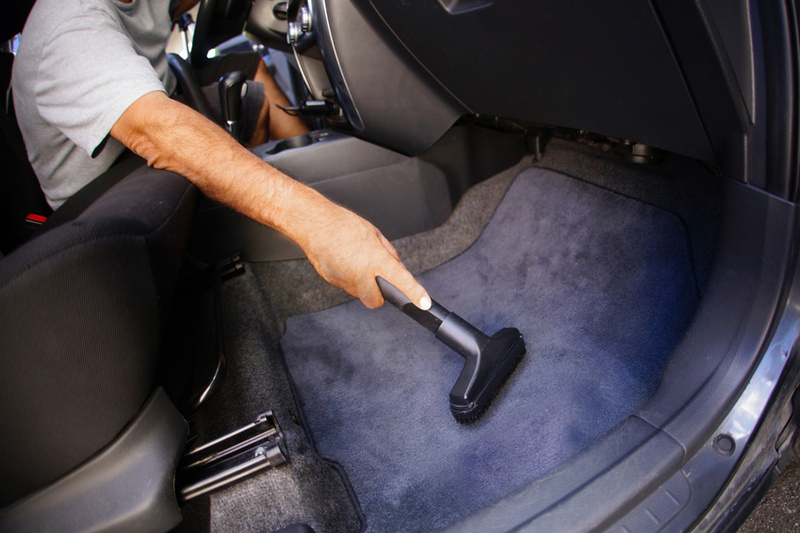 When washing a car, remember to clean the door, boot, and bonnet shuts as dirt and water can gather there and then dribble out over clean exterior bodywork. 14. When drying a car, use an absorbent microfibre towel as older style chamois leathers can mark paintwork, and use a light misting of quick detailer to help prevent watermarks. 15. When washing a car, use two buckets, one with shampoo and one without. This avoids putting dirty water back on to the car. Fifteen litre or more buckets are recommended, ideally with anti-grit grates in the bottom. 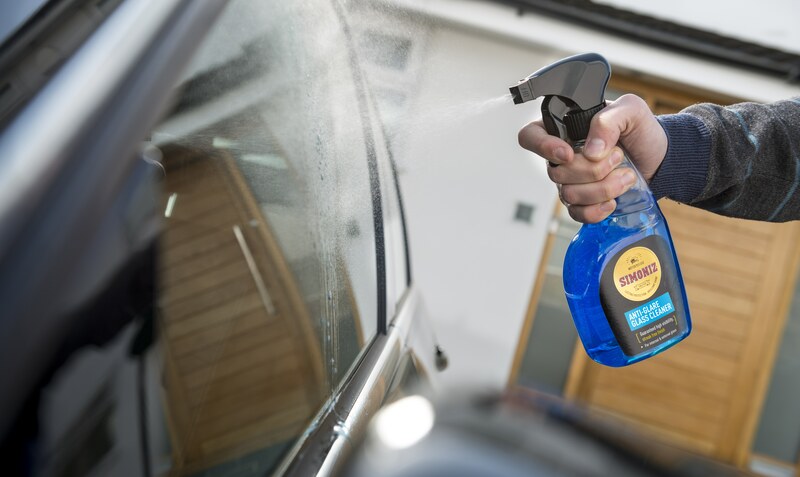 From Insect & Tar Remover to our Original Wax, Simoniz offer a range of products to help you detail your car like a pro. To browse our complete range of car valeting products, visit our homepage.